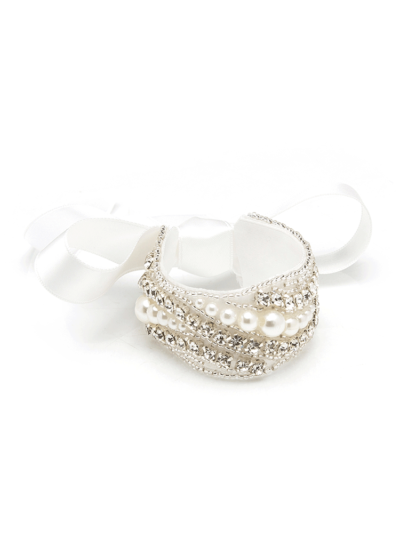 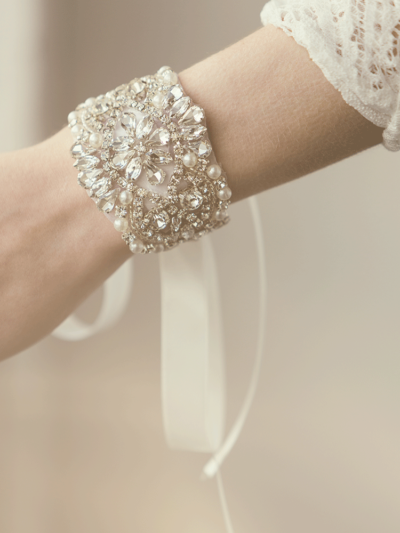 At About Eve, we’re highly experienced in fashioning all styles of wedding cuffs, from opulent to understated. 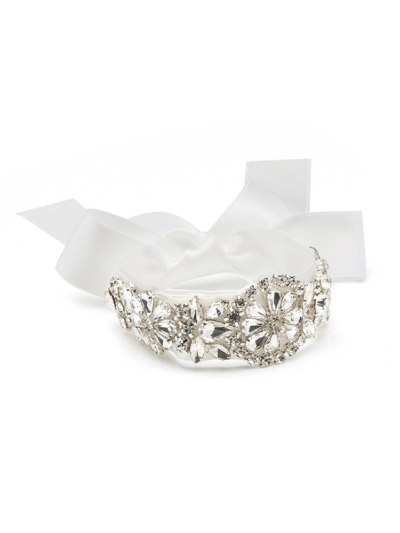 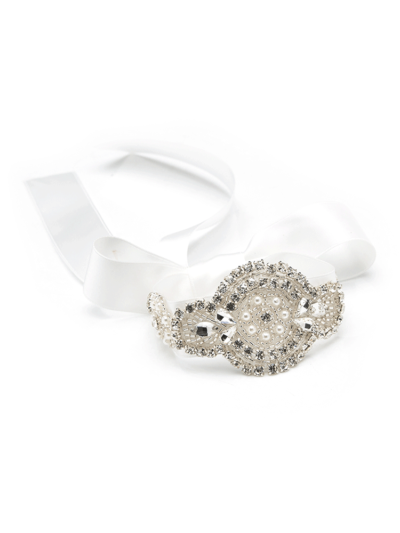 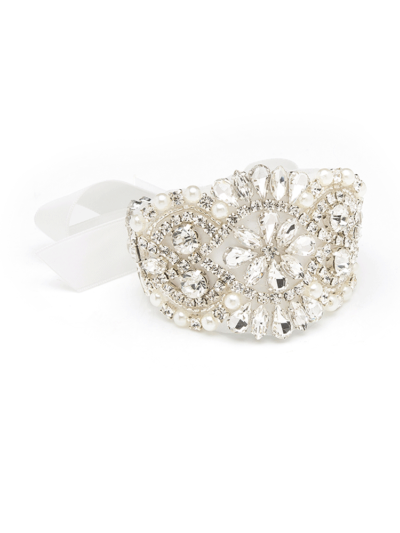 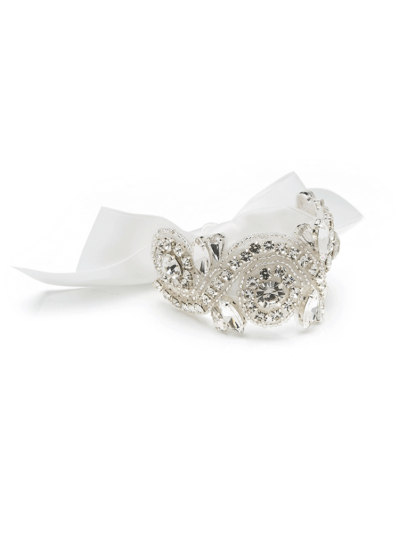 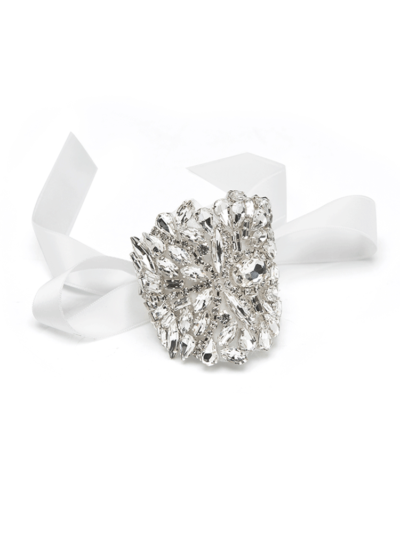 If you’re seeking wedding jewellery with a touch of old romance, our beautifully detailed Elena cuff with sparkling crystal clusters and soft ribbon tie exudes vintage glamour. 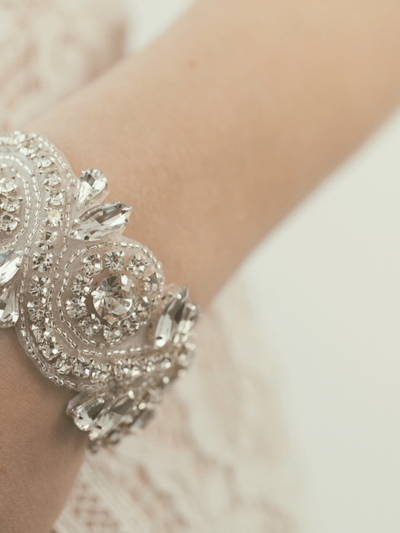 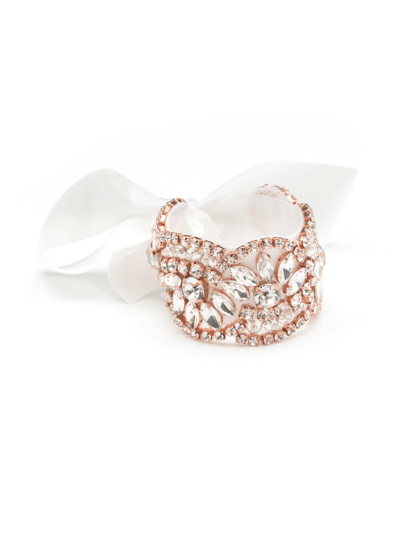 While for maximum sparkle, there’s our stunning Kingsley cuff featuring swirls of crystals and silver beads. 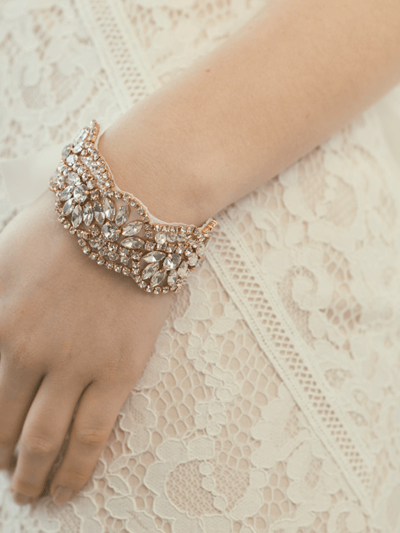 For a hint of colour, there’s our Gianna cuff covered in rose gold encased crystals, while subtly reigns with our delicate Fay bracelet, an elegant strand of crystals and pearls. 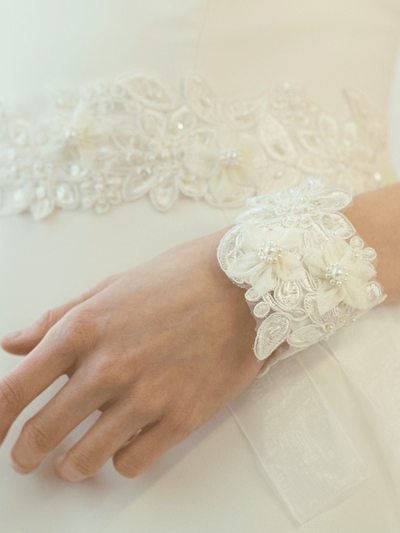 Whatever your wedding style, you’re guaranteed to find the one here. 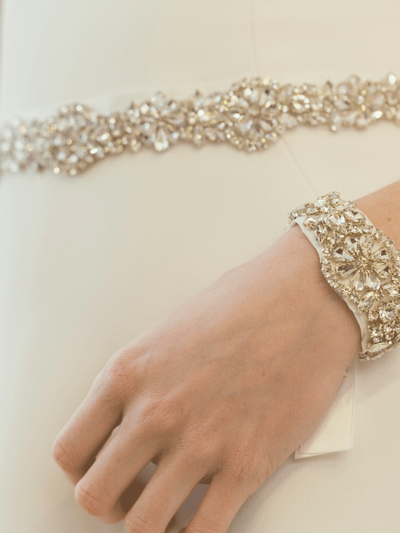 All About Eve wedding cuff bracelets can be customised to complement your gown with a choice of luxury ties in white or ivory satin ribbon or organza. 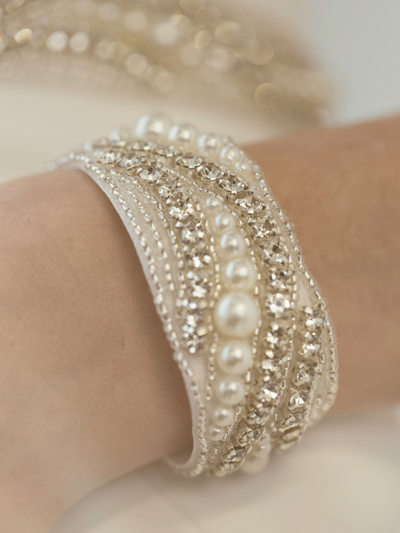 To find out more about our bridal bracelets or to discuss having a unique wedding bracelet made to order, please get in touch here.